As the world’s leading organisation of media archives FIAT/IFTA actively encourages and enhances the collaboration between research and archive communities. The FIAT/IFTA Media Studies Grant is one of our ways to ensure the valorisation of academic knowledge for archival practice, as well as to promote research of holdings of member television archives. This grant, awarded on a yearly basis to one or more master or PhD students, offers support for research done at audiovisual archives members of FIAT/IFTA with the aim to study archival material or archiving practices and present this research in innovative ways. Priority is given to projects that research topics that are relevant for the history of the archive institutions involved, for media history or for archival practice. The FIAT/IFTA Media Studies Grant is an initiative of the FIAT/IFTA Media Studies Commission. All the details about the objectives, the requirements, the available budget, the eligibility and how to apply is available in the Call for Projects. The deadline for proposals is April 21st. The papers resulting from the work made possible thanks to previous FIAT/IFTA Media Studies Grants can be read in the Publications section of the FIAT/IFTA website. We look forward to your proposals! 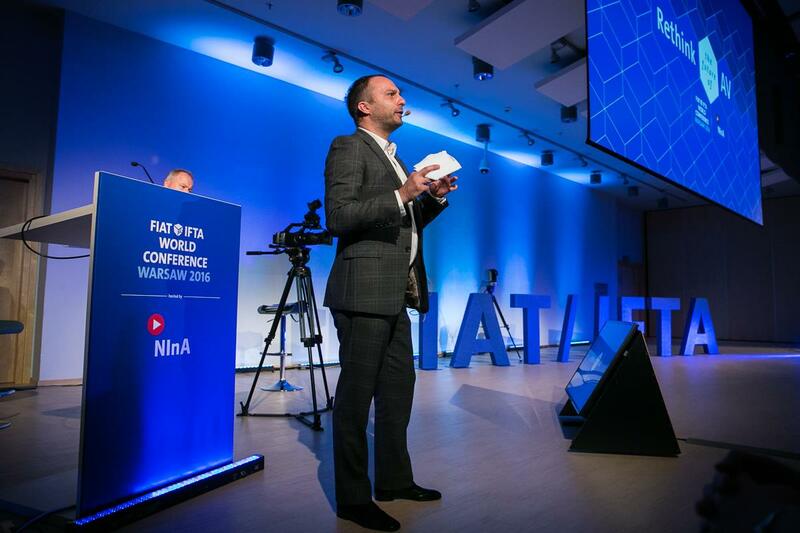 Dean Vuletic of Vienna University, one of the winners of the 2016 FIAT/IFTA Media Studies Grant, presenting at the 2016 FIAT/IFTA World Conference in Warsaw, about his research on the Intervision Song Contest.